Descriptions will be added as we have them so please check back often. Sandi Meyers is a retired Business teacher. She is mother to three sons and grandmother to 17 grandchildren. She and her husband, Loren, have moved to this area to live next to their youngest son, Pastor Dale. Her message will focus on letting your children go to impact the world. Sandi and Loren's oldest son is a pastor at Levant Wesleyan in Falconer, NY. Their middle son is a Wycliffe missionary to Indonesia and their youngest son, Dale, is pastor of Clarence Center Akron-Mennonite church. Pastor Dale and his family will have left for Kenya just a few days before today. She will share a song by Chris and Diane Machen entitled, "Arrows" which had a great impact on her life. 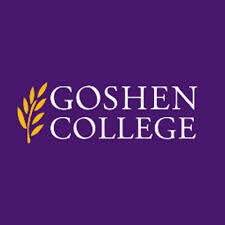 The Goshen College Choir will be visiting and performing during the morning service. A representative from the College will share the morning message. Kristin is wife to Tim and mom to David. In addition to teaching art to homeschoolers, coaching ice skating and working in Tim's office, she is on the website and library committees and serves as Adult Sunday School Superintendent at CCAM. She is president of the Buffalo Skating Club and along with Tim, instructs their son David at home. Training as a competitive figure skater gives her an outlet and serves as an opportunity to worship God. Educated as an art historian, Kristin cannot resist the opportunity to speak about two of her favorite subjects in one sitting: God and art. Her message will likely include a visual study.